Get Fit by Having Fun! 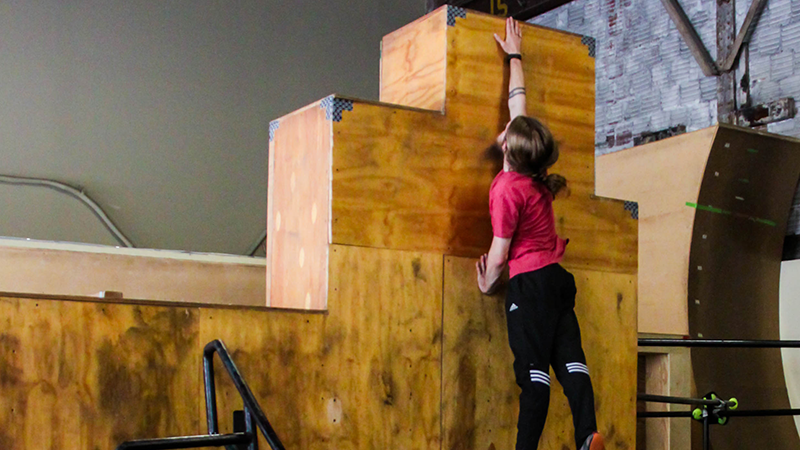 Parkour is a training discipline that enhances your strength, coordination, and agility by overcoming movement challenges like climbing walls, balancing on rails, swinging on bars, and vaulting over barriers. 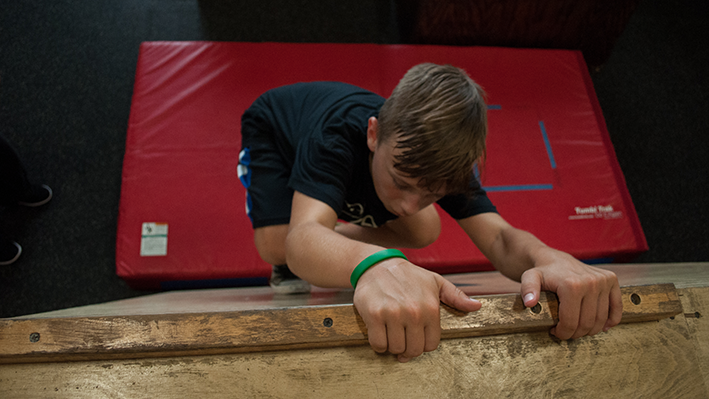 You can use the abilities you learn to improve at other sports or even to be America’s next Ninja Warrior! It’s play with a purpose: to be stronger today than you were yesterday. There are no rules, no judges, and no performances – we train and move because it’s fun, not to be better than other people. Come try a class to see how dramatically your health and fitness can be improved by having fun! Because going to a regular fitness gym and performing endless reps on workout machines is not normal, nor is it really fun! Playful movement is the natural process for humans to train their strength, speed, and endurance. Health and Education for the Whole Family! Our movement academy is a one-stop shop for your whole family. We provide a safe and accessible movement space like none other and have a plethora of different classes and services available to educate you on safe and effective movement training to ensure that everything you do in inside and outside of the gym is helping you to become a stronger, more capable version of you. Absolutely! Way more safe than other, more traditional, sports that we play all the time. We take safety very seriously. Our instructors have all undergone a minimum 3 month apprenticeship before becoming instructors to learn proper training methodology and proper spotting techniques. We don’t hire just anyone and we don’t treat this lightly – you will be signing you, your son, or daughter up for some of the best physical education that you will ever find! Additionally, our programs continue to maintain an injury rate of less than 0.4 injuries per 1,000 hours trained. For comparison, check out the graphs with common injury rates for other, more traditional sports. What is an Injury Rate and how is it calculated? Rate of Injury or Incidence of Injury is a data point created by taking all total injuries in a given time frame and dividing them from total time exposed (total number of hours trained). The resulting number is then multiplied by 1,000 to establish the estimated number of injuries in 1,000 hours of exposure. Where did this data come from? All High School Injury Rate data came from The National High School Sports-Related Injury Surveillance Study for the 2016-2017 school year published by UC Denver. The full article text is publicly available online and can be found here. Given that the sports presented cannot be practiced without also competing, the injury rates we’re presenting are an average between the practice injury rate and the injury rate seen during competitions (raw data can be found on Table 2.1 on page 16). Injury Rate data presented for Rochester Parkour is data that we’ve collected from the same time 2016-2017 time frame. The best physical education you’ll ever find! Our kids programs infuse fun into fitness and teach your children how to improve their strength, coordination, and agility in a safe manner. Stop forcing yourself to go to the gym! Movement should be fun, not boring. 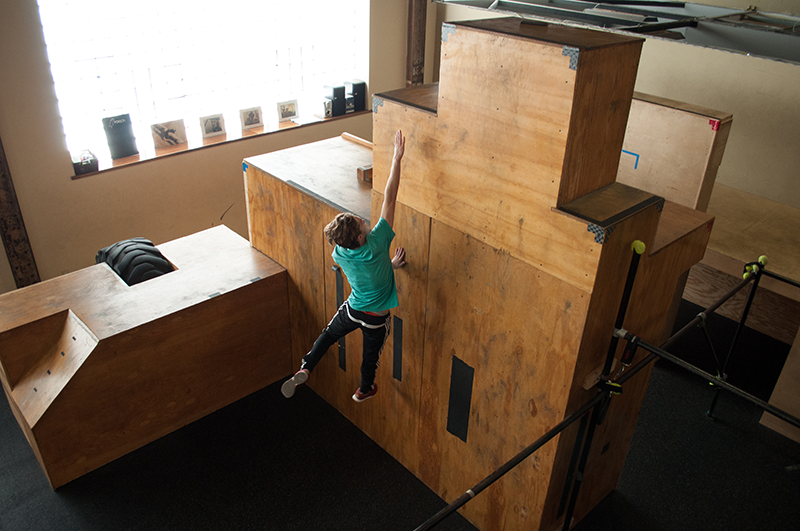 Leave the machines behind and come learn fun skills like climbing up walls, swinging on bars, and balancing on rails. Our Birthday Party Packages are some of the best around! 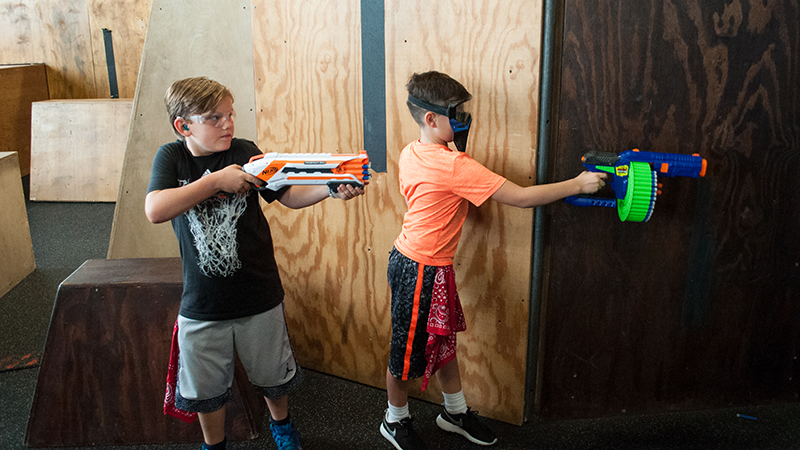 Gather your friends and book us for a Nerf War, Ninja Warrior obstacle course, or a private Parkour Workshop. Every party is custom built! Parkour and Ninja Warrior Training is tricky and challenging. Teaching Parkour and Ninja Warrior Training is even harder! We weren’t only the first gym in New York State that does this style of training, we’re also literally writing the book of safe and effective teaching methods. 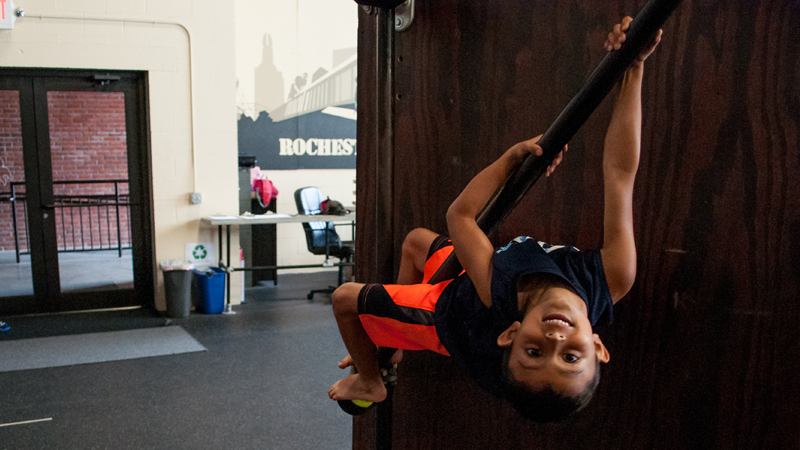 At Rochester Parkour, you can trust that you or your kids will be under the supervision of expert instructors who care about their career, care about their students, and care about seeing their student progress in ways that don’t just allow them to do cool things, but do cool things while also keeping themselves healthy and strong. Do what you’ll learn to do in our classes at a “normal” fitness center and you’ll get a lot of weird stares. Yeah, you’ll crawl on the ground. Yeah, you’ll do silly things for the fun of it. And yeah, you might not succeed right away. 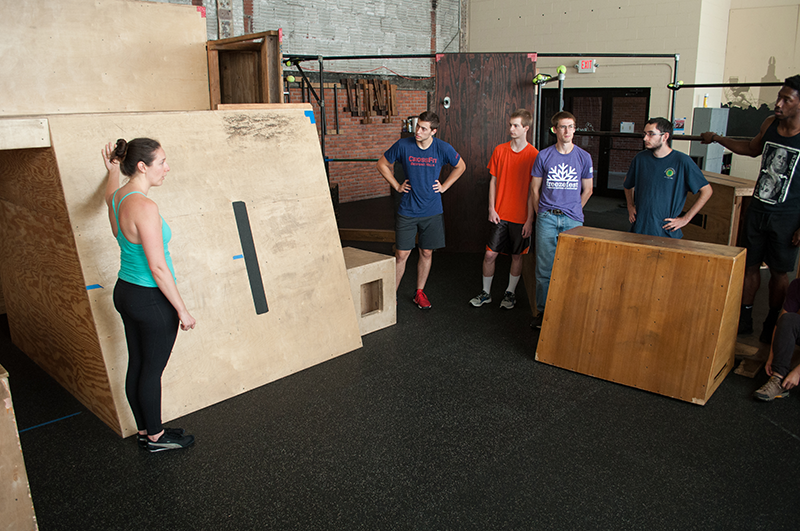 At Rochester Parkour, you’ll be surrounded by a loving and inviting community of people who can put aside all of their differences to come together under the singular love of playful movement. Come try something new and silly and take comfort knowing that no one will think you’re weird for doing it. In fact, they’ll probably join in and try something weird to follow suit! Our entire gym was custom built to create the best atmosphere to grow as a strong, adaptable mover. 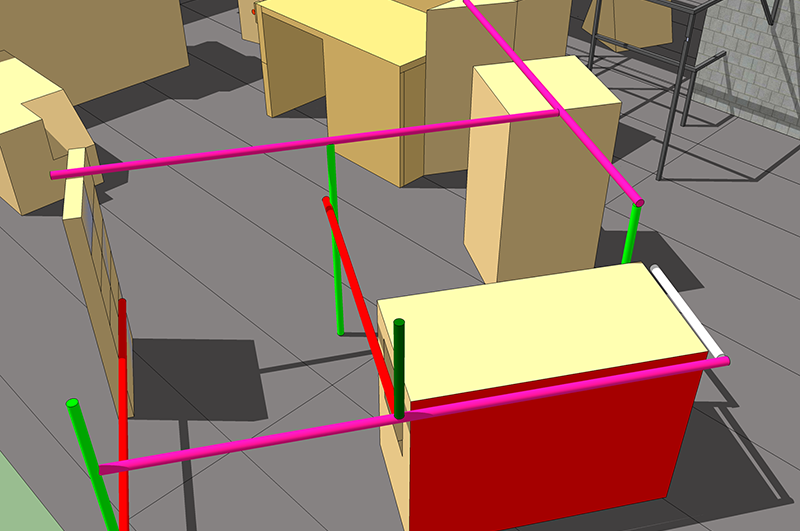 Almost everything in the gym is modular and at least once a season, we tear apart everything and build it back up into new shapes, different layouts, and add in new structures! It feels like a brand new gym every time! This rebuilding process is an important part of why we’re different than many other facilities who rely on permanently installed features. Growing accustomed to an environment makes your training stagnant and stifles your creativity. Changing up our space forces you to see new challenges and adapt your skills to new scenarios. Simply put, it forces you to grow and become stronger and better!